← Relaxing pics for Jake’s Challenge. I had a VERY interesting waiter on Thursday evening. 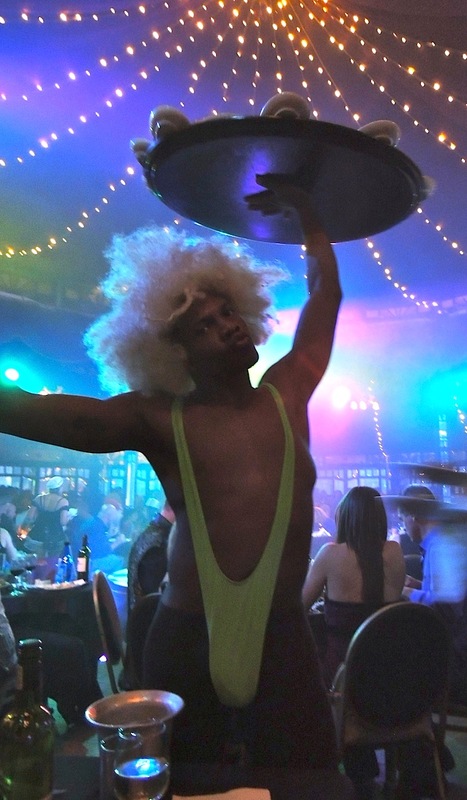 I don’t really know if I would like my waiter to be dressed like that after all … too much in the face. Thank heavens he was wearing pants! Now there is a photo I didn’t expect to see on my return! Borat looks like my kind of waiter! Oh my…. oh my oh my….! Wow, and I hope he had the personality to match! Thanks, Karen. I’ll do a blog when I get back home. WOW! Always exciting to stop by!!! Haha, perfect for Silent Sunday….there are no words to express! Oh my, how exuberantly himself! LOL – What did you order? His balancing skills are amazing! Not camera shy … eeekkkk !!!! A picture is worth a thousand words! Great shot. Ha! 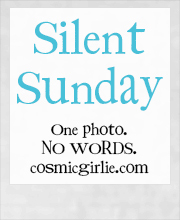 A great choice for silent Sunday but you’re going to have to tell us the whole story tomorrow! Yikes! I think I’m speechless for silent Sunday. Definitely not your typical waiter outfit! yes, but was the food any good? Were human heads served up? Pity. JZ’s nut is way overdue for being on a platter.